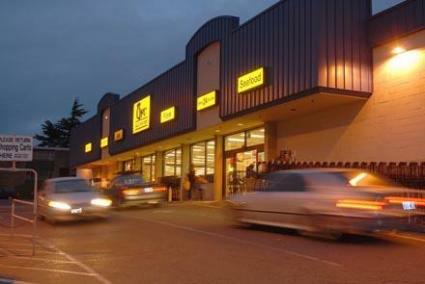 The old QFC on 24th is gone, torn down to make way for a 400 unit Condo Complex. Right now the site is an ever deepening hole, making way for the required parking. Now I know the transformation of Ballard into the yuppie projects is supposed to be seen as some sort of “progress” that would make Paul Schell proud, but this is really an issue of infrastructure. Guess what, the streets are not likely able to handle the traffic from the SEVERAL multi-hundred units currently under construction up and down Market St. Market is bad enough during rush hour. I’m having a hard time imagining the addition of 1500 to 2000 more vehicles trying to get out of Ballard each morning when the streets are clogged right now. I’m glad I’m able to walk to work and only need worry about being almost run over by those all to time pressed to stop talking while driving. In the end, it is not a people density issue, it is a automobile density issue. Its perfectly reasonable to increase population density as long as people can still get to where they need to be every day to maintain the urban economy that we all depend on. You can’t simply road build your way out of the problem in a place like the Seattle area. The geography is all to restricting with a terribly inconvenient mix of hills and water, a point made obvious to anyone capable of reading a standard 7.5′ series USGS map. Arizona style sprawl just can’t happen here. If Tim Eyman understood one tiny molecule of regional geography he’d probably still be a watch repairman. The solution was discovered quite some time ago in the form of reliable, public transportation. Yes we have geographical limitations to that as well, but the current system can only be improved. Yes I used to live in London and I’m a spoiled brat on that subject., but even by much lower standards what we’ve got now is a joke. And despite the best intentions of it’s creators, the last ten years trying to get a rail line from the U district to the Airport could end up as transportationally relevant as the current monorail. Posted by PostModernDecay on	Tuesday, February 19th, 2008 at 8:11 pm. You can follow any responses to this entry through the RSS 2.0 feed. You can leave a response, or trackback from your own site. Yup PMD, same deal with Denny Way, and many others in Seattle: future gridlock is assured. It’s hard to imagine how the the traffic studies that are done for each new development can say anything but. The former mayor of Vancouver, BC, Gordon Price, is famous for the quip “congestion is your friend.” This means that people will only start to seriously consider alternatives to the car when it becomes too painful not to. It’s human nature: we need to feel a little pain before we are willing to change. Yup. Seems like the real question here is whether the city will be foresighted enough to allow the RapidRide that’ll replace the 15/18 to have its own lane and thus provide a better option than all that traffic. Hmm it seems as if your site ate my first comment (it had been super long) so I guess Ill just sum it up things i submitted and say, Im thoroughly enjoying your website. I as well am an aspiring blog writer but Im still new to everything. Have you got any ideas for inexperienced blog writers? Id genuinely be thankful. Thanks for taking the time to share with you this, Personally i think fervently relating to this and that i take pleasure in researching this topic. Please, while you gain information, please update this website with increased information. I’ve discovered it very helpful. There have to be charging stations everywhere.